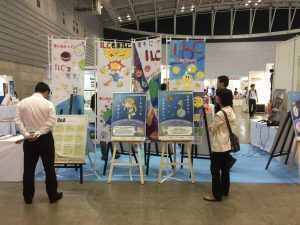 Local governments, academic and industrial groups and more continue to work together to spread the word about the ILC through all of Japan. 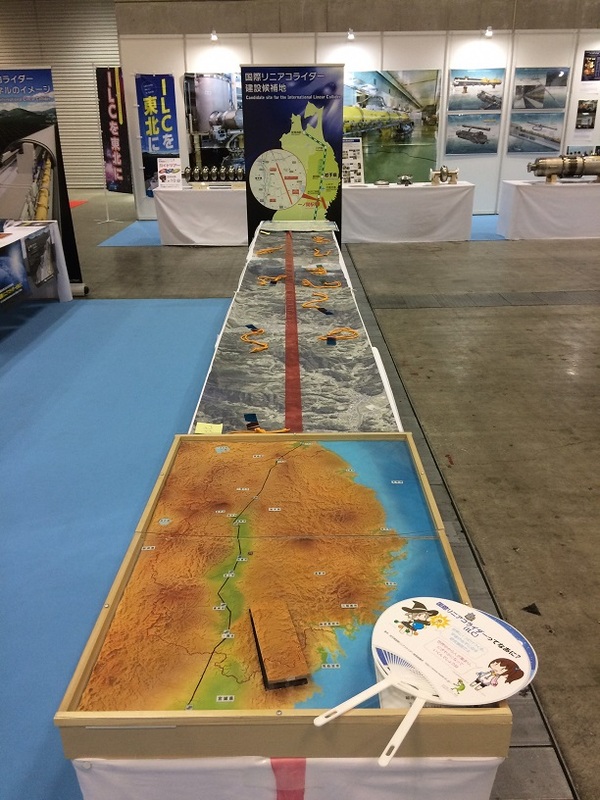 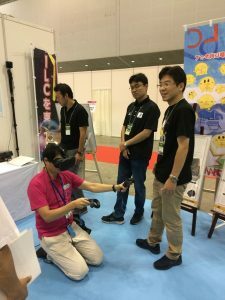 One such effort took place at the Vacuum Show, a trade show held at the Pacifico Yokohama in Yokohama from September 6th to the 8th. 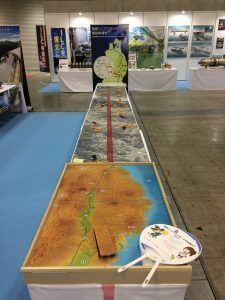 About 16,000 people came to the Vacuum Show in these three days, with many of these people visiting the International Linear Collider exhibit. 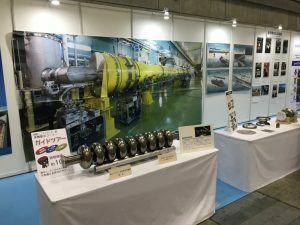 The ILC exhibit had everything visitors needed to know about the ILC: an overview of the ILC, exhibits of the superconducting accelerator cavities and other parts, introduction of the Kitakami site including a virtual reality tour, booths showcasing local industry, and information on the candidate site area for work or leisure. 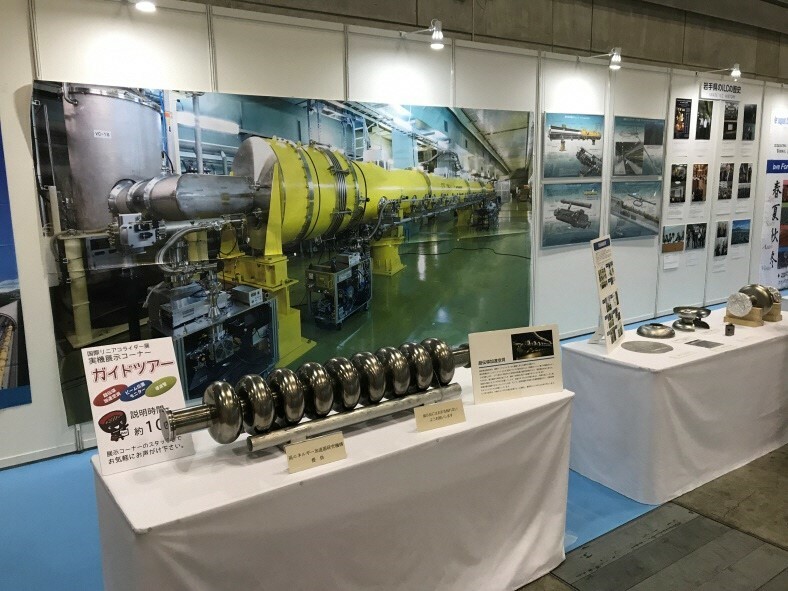 The mascot character “Higgs-kun” even made a couple of appearances. 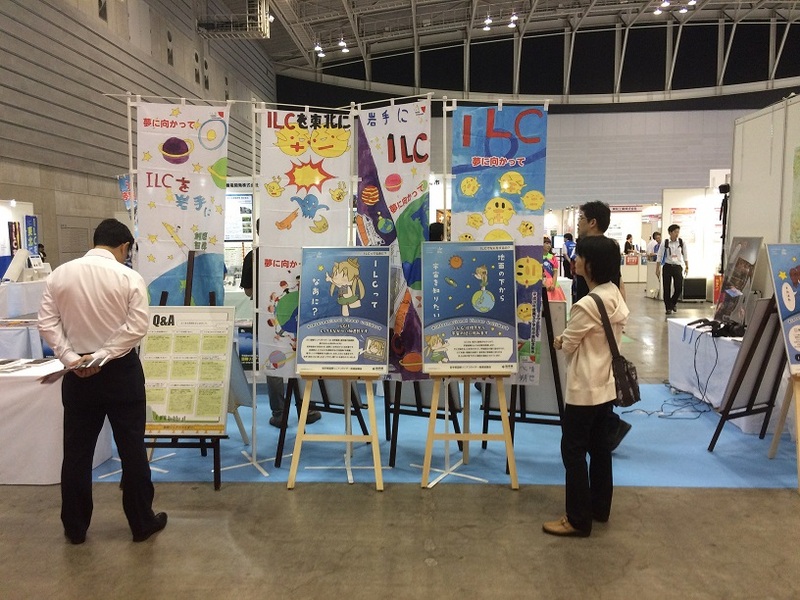 Visitors to the show could learn about the ILC in various ways. 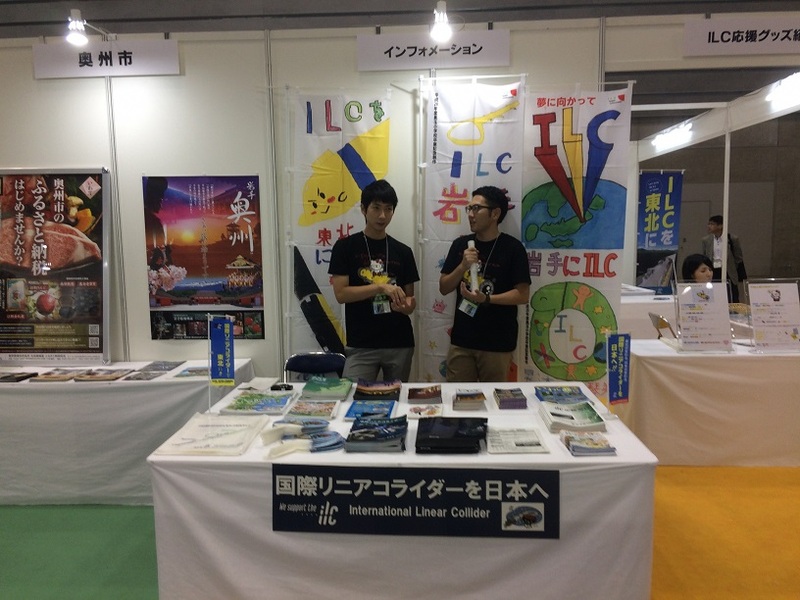 First, we could catch their eye as they walked past the ILC corner. 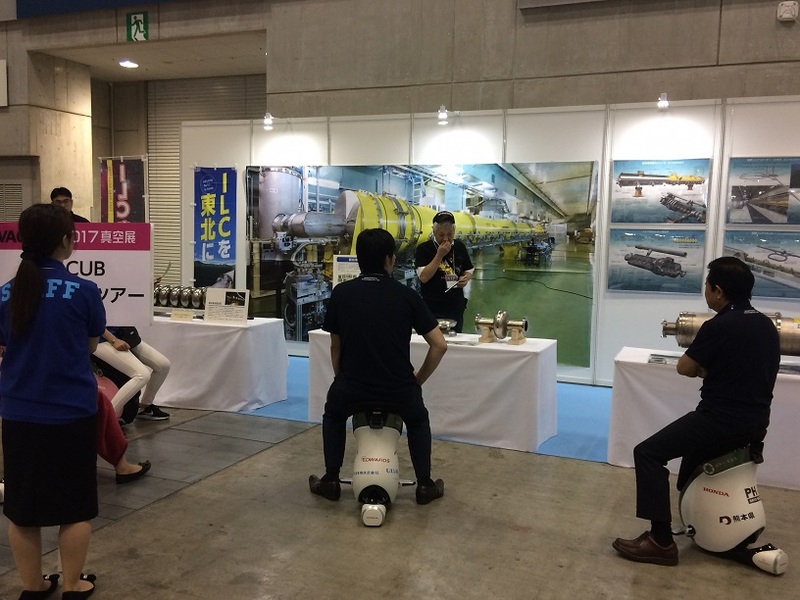 This being a trade show about vacuums, the ILC got the attention of a lot of people. Some people had clearly heard about the ILC before. 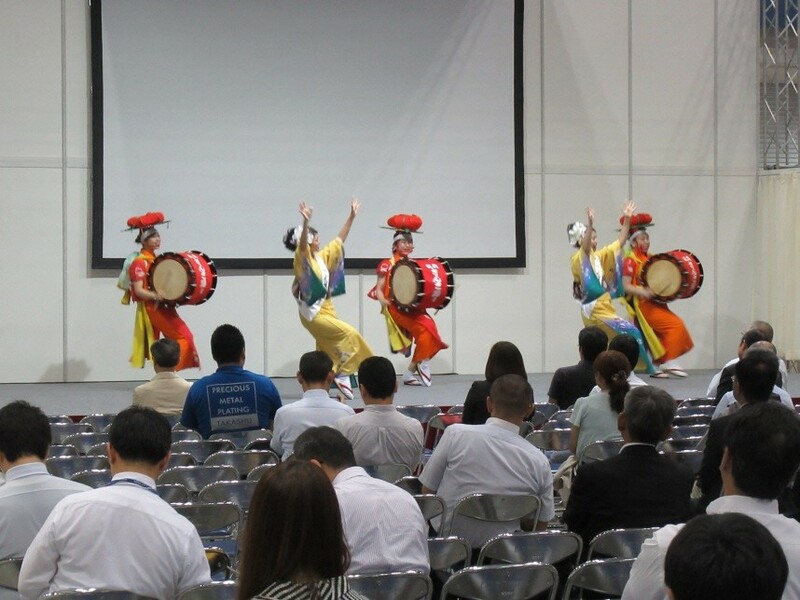 For others, it was their first time, and they quizzed staff while gathering handfuls of pamphlets. 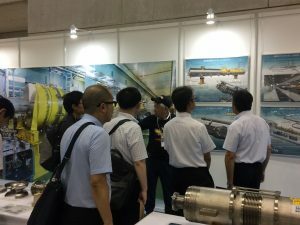 The Uni-Cub corner held tours of the Vacuum Exhibit of about 30 minutes including practice time, and each tour stopped by the ILC exhibit. I had a fun and rewarding three days at the Oshu booth working with our ILC friends and partners. Just as in Morioka for LCWS 2016 and in Yohohama for the Vacuum Exhibit, we’ll all keep working together doing everything we can for the ILC, hand in hand.